Stephen Brooks was born 21 July 1951 in Cambridge, UK. As an early practicing British psychotherapist and hypnotherapist he was the first to introduce Ericksonian Hypnosis to Europe in 1979. 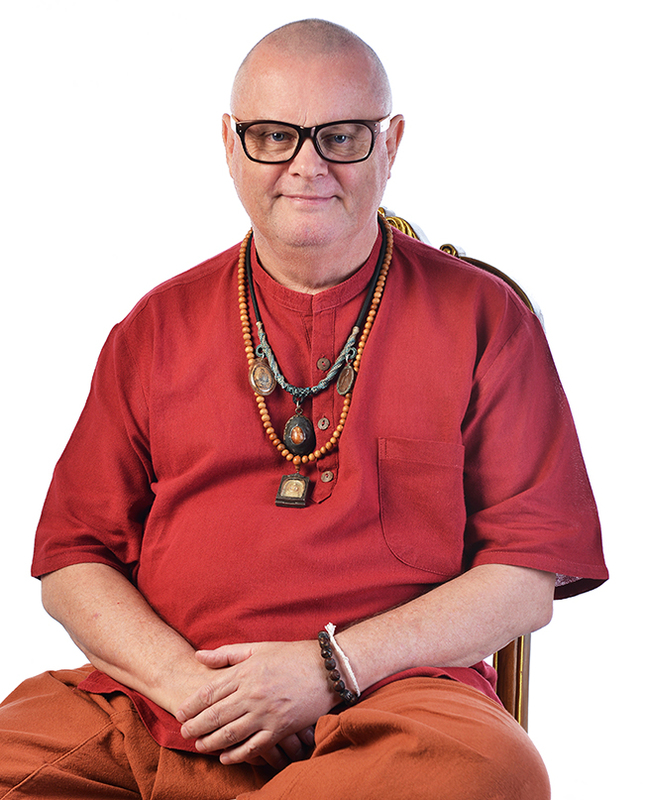 Throughout his career he has pioneered the use of Ericksonian Hypnotherapy based on Buddhist principles in the medical profession with courses in over 20 British hospitals and universities. He developed an approach to psychotherapy based on the principles of compassion and non attachment which directly treats the causes of problems and emphasises loving kindness for patients. Stephen acquired his initial interest in hypnosis during a demonstration of hypnotic phenomena at a psychology lecture at the University of Cambridge in 1969. He had previously developed an interest in experimental psychology while at school after winning a book on the subject as a school prize. Experimental psychology and especially experimental hypnosis subsequently became an interest of his, fuelled by a belief that research into hypnosis – particularly its creative and ethical application in therapy – had not been fully explored or developed. Stephen was introduced to Zen Buddhism by a school teacher David Gleave who was also a published writer of Buddhist poetry. Soon after Stephen joined the Buddhist Society in London and attended their meditation classes. Following his first meeting with His Holiness the Dalai Lama at the society in the 70’s Stephen studied Tibetan Buddhism, especially the work of ancient Buddhist masters such as Milarepa and Naropa. In 1974 he participated in the Black Hat Ceremony with the 16th Karmarpa of Tibet (the last time it was to be performed) and met with His Holiness the Dalai Lama again in 1993 and was encouraged to take up a monastic life. Throughout this time he had continued to practice as a hypnotherapist and teach courses. He chose Theravada Buddhism as his future path. He decided to give away his worldly possessions, including his homes in England and France, and ordained as a forest monk in Thailand living by a waterfall for several years. In his late 20’s a lack of available research into experimental and indirect hypnosis led to him becoming disillusioned with the traditional direct approach to hypnosis, which he considered far too authoritarian and disrespectful to patients, as he felt that it dis-empowered people by implying that the hypnotist had control over them. In the 1970s, Stephen discovered a book entitled “The Practical Application of Medical and Dental Hypnosis” (1961). There were three authors, one of whom was Dr Milton H. Erickson, who was largely unknown at the time, except within clinical hypnosis circles in the USA. It was Dr Erickson’s only publication in book form at the time, although some of his papers had been published separately in American journals. Stephen observed that Dr Erickson’s contributions stood head and shoulders above the contributions of the other two authors and so he decided to contact Dr Erickson. While trying to track down Dr Erickson, Stephen decided to enrol in a hypnotherapy course so he could set up a private practice. He enrolled with the leading British hypnotherapy school at the time, but alarmed by the poor standard of training offered, ended up teaching the last day of the course himself and presenting Erickson’s work for the first time in the UK. Stephen managed to acquire research papers directly from Dr Erickson and later a book on Erickson’s hypnotic language patterns called Hypnotic Realities (1976) by Dr Ernest Rossi. Armed with these, Stephen developed his career as an Ericksonian hypnotherapist. Concerned that the public were still fairly sceptical (or even afraid) of hypnosis, mainly due to how it was portrayed in the media and by stage hypnotists, he decided that it might be unwise setting up a permanent practice in only one location as he might not be able to find enough clients. Instead, he set up five practices, one for each day of the week in different towns throughout the county of Essex, where he then lived. He set up practices in Chelmsford, Southend, Rayleigh, Brentwood and Harlow, treating an average of nine clients a day over a 12 year period. Throughout this time he struggled to find a way to integrate his Buddhist studies with hypnotherapy without realising that it was happening by itself in his approach to help clients. In 1979, Stephen registered the British Hypnosis Research Association (later to become the British Hypnosis Research and Training Institute). The purpose was to research, teach and build on Erickson’s techniques. The association was based at Cambridge University and members were mainly undergraduates from the local colleges. Seven years later in 1986, encouraged by attending the first NLP practitioner training in Europe and still frustrated with the poor standard of hypnotherapy training in the UK, Stephen developed the first ever Ericksonian Hypnotherapy course in Europe. Building on the success of the initial course, Stephen created a one year professional Diploma course at St George’s Hospital in London. At this time, interest in Ericksonian Hypnosis was growing and Stephen invited four Ericksonian-inclined clinicians to teach alongside him on the his first Ericksonian Hypnotherapy Practitioner Diploma course. The trainers were Dr Tony Bastick, author of a book about intuition (Bastick 1982 Intuition: How we think and act), Dr Elvida Adamson-Macado, a psychologist at St George’s Hospital, Dr Tony Wabba, a psychiatrist and anesthetist at Eastbourne General Hospital and Frank Franklin, a psychotherapist and one of the first people to train in NLP with its originators, Bandler and Grinder in Santa Cruz California. Stephen was thus able to assemble Europe’s preeminent team of hypnotherapy trainers at the time. Dr Ernest Rossi and many of the experts with whom Stephen had previously trained (Carol Erickson, Sydney Rosen etc) also served as BHR tutors, providing students with training in the most advanced Ericksonian techniques available. The only alternative providers of official clinical hypnosis training courses in the UK at that time were the British Society of Medical and Dental Hypnosis (BSMDH) and the British Society of Clinical and Experimental Hypnosis (BSECH), the former catering to doctors and dentists and the latter to psychologists. Stephen believed that training in hypnotherapy should be made available to other members of the caring professions and that Ericksonian Hypnosis should be given a wider exposure. Stephen pushed hard to have his approach accepted by these organisations but always met with resistance. The BSECH eventually accepted the Ericksonian approach as valid when Phyllis Alden, a graduate from Stephen’s Practitioner Diploma course at St George’s, was elected President of the BSCEH. By the mid-1990s, the Institute was running courses in over 20 hospitals and universities throughout the UK and in France, Belgium, Luxembourg, Canada, Spain, and Ireland. As recognition of the efficacy of Stephen’s teaching increased, health professionals including doctors, nurses, counsellors, occupational therapists and social workers were all able to study his compassionate approach and enhance their relationship with patients and clients. In 1990 Stephen was asked by the British National Sound Archives to record an example of contemporary hypnotherapy. Together with the University of Sussex he made a studio video recording of a hypnotherapy session with a patient. He based the video on an earlier studio recording of Erickson made by Joe Lustig. The video of Stephen’s session quickly became popular with hypnosis training organisations and has been used extensively on hypnosis courses ever since. In 2009 it was re-mastered for DVD and Stephen added a commentary to explain his techniques in detail. French subtitles were subsequently added, translated by Deborah Bacon-Dilts (wife of NLP pioneer Robert Dilts). As mentioned earlier, as the management of the Institute became more demanding Stephen decided that his original role as a hypnotherapist and trainer had evolved into that of a businessman, something that had happened by accident rather than design. He therefore decided to step back from his role in the organisation and spend a period of self-discovery and personal development over a period of several years spent as a Buddhist monk in northern Thailand. During this period, Stephen became interested in the nature and causes of suffering. Continued meditation on the subject brought up various new and innovative solutions not previously thought about in psychotherapy. Drawing on these new ideas, and his previous experience and research, Stephen began developing a workable practical psychotherapeutic process that could be implemented without any conscious perception that psychotherapy was being used. This meant that therapists could work indirectly in contexts not normally associated with hypnosis or psychotherapy and that health professionals from all disciplines could use these techniques as an adjunct to their work. The approach was based on the Buddhist principles of compassion and non attachment and allowed him to instantly remove thoughts and feelings that were at the root of clients’ problems. The results were dramatic and verifiable. Stephen still lives in Thailand and continues to teach his unique integration of Buddhist psychotherapy and Ericksonian hypnosis internationally.